Kasanka Trust actively seeks support from the local community to secure the long-term future of Kasanka National Park. By using education as a basic tool, Kasanka Trust is trying to increase the community's awareness of conservation and promote economic development. With the support of The Ministry of Education, Kasanka Trust has set up a project to aid education in Kafinda Game Management Area. The project is funded by external donations from various trusts and charities as well as individual sponsors. 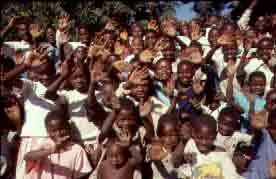 The Education Project started on a small-scale basis in the year 2000. Over a period of 8 years, and on a minimal budget, the Trust has sponsored more than sixty pupils to Secondary School and 10 untrained teachers to teach in Community Schools. Sponsorships of untrained teachers by individual donors have become increasingly popular due to the project being small-scale with low administrative costs. All money goes directly towards the sponsorships and if desired, sponsors and candidates can make contact. Kasanka makes helping community schools a priority as they are started by local initiative and survive on so little. Assistance from the Trust includes giving advice and support wherever needed, paying untrained teachers' salaries and sending them on training workshops, as well as donating teaching resources and building materials. teachers reside in neighbouring villages and have to walk kilometres to school every day. Having accommodation at schools is extremely beneficial as classes start on time and school possessions are better cared for. Most teachers and parents are very willing to do the building themselves, but they require assistance with building materials. The Trust has rehabilitated the classroom blocks and teachers' houses of 3 local Government Schools, and is currently working on two others. We are also encouraging more and more schools to sign up for membership with the Wildlife and Environmental Society of Zambia. A key element of the Society's Environmental Education Programme is the production of environmental education material such as the Chongololo and Chipembele magazines. The Education Project co-ordinates and facilitates school park visits to promote conservation education in the area, and has constructed an Interpretation Centre at Kasanka's new Conservation Centre near the park gate which is visited by school groups frequently. The Centre also operates a preschool for children of our employees. Through 'Ecokids,' a school-swapping initiative based in Holland, Kasanka connected a Dutch school with a local Zambian school. The schools exchange educational material including drawings, poetry and essays along a theme of conservation. The link is the first of its kind in Zambia. Kasanka is located in the Kafinda area, under the traditional leadership of Chief Chitambo IV. It was this Chief's great grandfather who received David Livingstone on his deathbed, and a memorial stands today near the park marking the spot where the explorer died. About 100,000 people live in the area and survive by subsistence farming. 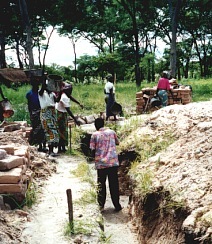 The predominant crops are millet, cassava and groundnuts, many of which are cultivated using traditional slash and burn farming techniques known locally as 'chitemene'. Whilst some people keep goats, pigs and chickens, fish, either locally caught or traded is the main source of animal protein. The Kasanka Trust Community Project is dedicated to reducing poaching in the area by providing sustainable alternatives. The project promots more sustainable forms of agroforestry over the 'chitemene' system of farming and teaching alternatives to increase the amount of protein available. Villagers are also encouraged to seek income through activities such as craft making, vegetable gardening and chicken, rabbit and goat rearing. Most importantly the local community is being encouraged to develop income-generating projects through sustainable use of their natural resources including wildlife, fish, timber and other forest products in the Game Management Area outside the national park. The area now has eight resource committees reporting to a central Community Resources Board for the Chiefdom. The most ambitious community development project of the Kasanka Trust was the founding of a new Rural Health Centre at Chalilo, just north of Kasanka. The work was carried out by members of the local community for just some small allowances. Materials were supplied through a grant from the German Embassy and the States of Guernsey development fund who also paid for all the equipment in the clinic. By the end of 2002 the Chalilo clinic building was completely finished and equipped. There was a handing over ceremony in July 2002 at which the German Ambassador attended. Kasanka currently supports the clinic with a salary of Traditional Birth Attendant, fuel and extra medicine. By making a one time donation or establish regular contributions you can join the fold of Kasanka Trust supporters. You will receive regular newsletters to keep you up to date with what's going on and you will be especially welcomed should you find time to visit the park. $50 per month to sponsor a student to secondary school or $7 per month to sponsor a student to basic school. This includes school fees, school requirements such as uniform, books and tuiton fees. You will receive pictures, school results and letters of your student. 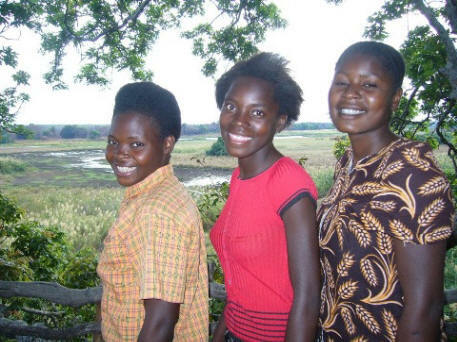 $200 for a local schools or community group to visit Kasanka National Park. A lifetime experience and effective way to raise conservation awareness. $140 per month to sponsor a teacher's salary in a community school. You will receive pictures, school results and letters of your student. Kasanka Trust is a registered charity. U.S. Donations can be made through Generosity in Action. You can make a donation to the Kasanka Trust via the internet. Click here. Once at Generosity in Action Donate page click on "Kasanka Trust " Note: there is a 3% transaction fee to cover credit card fees, bank fees, and other processing costs. For more information about Kasanka National Park or Kasanka Trust, please visit www.kasanka.com, or contact Kasanka Trust via trust@kasanka.com. Donate to the Kasanka Trust. Make checks payable to "Philanthropic Ventures Foundation " and note on the "memo" line on the check - "Lasanka Trust."